A few years ago in drama class we were learning about mime and physical communication (how your stance or where your arms are relates to your mood). Part of our assignment included a class trip to the cafeteria to watch people eat. Yes, seriously. We had to blend in with everyone else and take notes on how people ate. Watching three 16 year-olds eat a poutine together without utensils, gravy all of their faces, is a ton of fun! One of my favourite places to go is to the zoo, except I don’t go to watch the animals. Instead, I watch people watch the animals. I watch the faces they make to the animals and their expressions as they make a quick sweep of their surroundings to make sure no one’s watching before throwing a piece of bread to the peacocks. Have you ever gone people-watching before? It’s a ton of fun to see people imitate animals, fight over a cone of ice-cream, or soak each other with water guns. My dog also likes to people-watch. He loves to follow me around to see what I’m doing (and make me guilty for not giving him something I’m baking). Animals in general like to people-watch. While we’re watching the peacocks at the zoo, the peacocks are watching us. Those “eyes” on their tail-feathers? They’re not to attract females.. they’re to confuse us from knowing which pair of eyes the peacock is using to watch us. It’s like how some people wear sunglasses so other’s don’t know where they’re looking. In the Toronto Zoo the peacocks aren’t enclosed in a cage. Instead, they are free to wander throughout the zoo. They mainly stay where the food is though. Did you know that peacocks love popcorn? I love buying a bag of caramel popcorn, feeding the peacocks, and watching people shoo them away for disturbing their lunches. 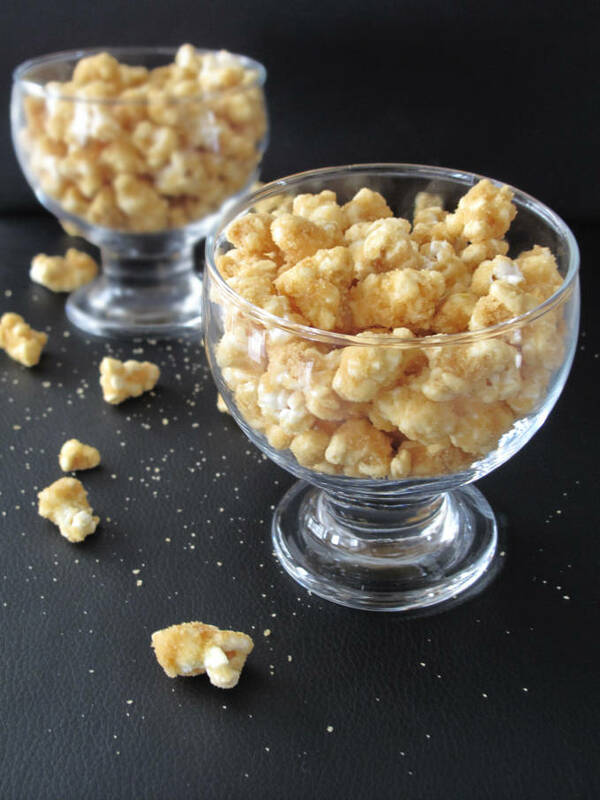 Crunchy and sweet caramel-vanilla popcorn. 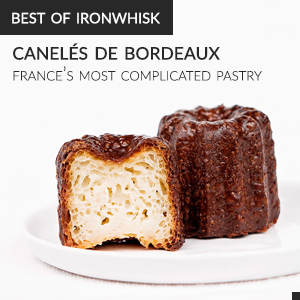 Recipe from BraveTart. Prepare a baking sheet by oiling with butter or lining with parchment. In a large pot, bring the water to a boil with the vanilla bean and simmer for one minute. Remove the vanilla bean (squeezing out any vanilla-y water from the inside) and add the vanilla seeds, sugar, corn syrup, and butter or oil to the pot. Turn the heat to medium-high and stir until the butter is melted and sugar is dissolved. Cook until the sugar is a dark amber color (about 320°F), being careful not to burn. Remove from heat and quickly stir in the salt and baking soda. Be careful because these additions will cause the caramel to bubble. 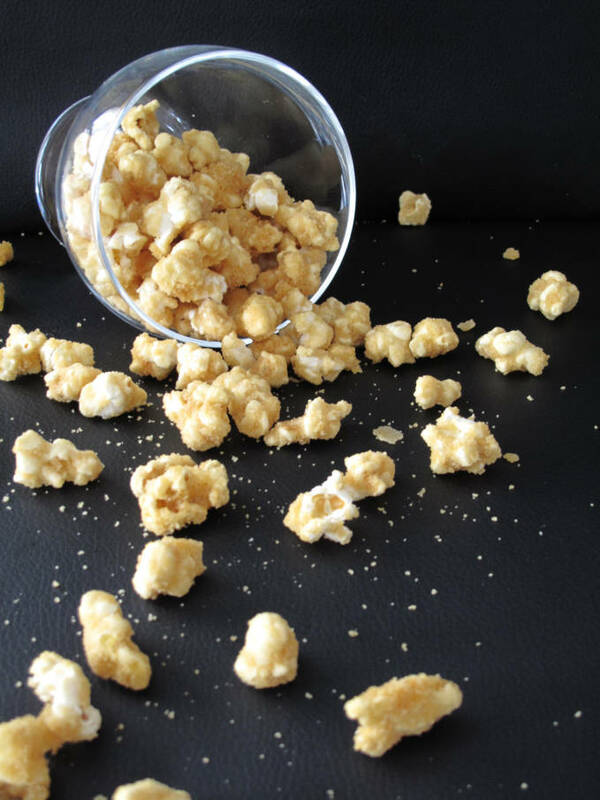 Quickly add in the popped popcorn and stir quickly and carefully until the kernels are evenly coated. Pour the mixture onto the prepared baking sheet. If you like your caramel corn clumpy, let it cool, as is. For individual pieces, separate kernels with your spatula. After the mixture is cool to the touch, (be patient or you'll burn yourself - I know! ), you can use your hands to keep breaking up the clumps. Store in an air-tight container. I love to people watch – it’s so entertaining! The popcorn looks amazing. Thanks everyone! Kaitlin, I heard cockatoos really like that song! I can people watch for a day given the opportunity! Love to sit on a terrace in the summer and just watch people the whole day.. Very entertaining indeed. There is a movie made by a Dutch moviemaker that is mostly about people watching animals in the zoo.. Very interesting to watch!